Arrival and transfer to Hotel. Evening Sunset cruise to view Chinese fishing nets and visiting Bolghaty Island. Later view traditional kathakali classical dances. Proceed by road to Periyar. Check into Spice Village, set in the heart of the cardamom hills of Kerala. 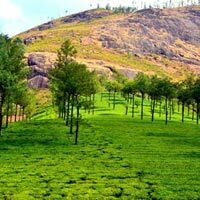 The village lies just outside Periyar Tiger Reserve and a stay here is a perfect way to appreciate the environment. This is a place for anyone who Loves nature to fill your lungs with fresh air, to savour the rich fragrance of cinnamon and cloves or to watch young elephants at the water's edge. Day at leisure to visit nearby coffee plantations, spice gardens with pepper vines or a trek deep into the tropical forest. Tour of Periyar wildlife sanctuary by Boat to see elephants and to view a rich variety of wildlife: Tiger, Elephant, Wild Boar, deer and Monkeys. Drive to Kumarakom. Check into cottages of the heritage hotel - Coconut Lagoon resort situated on the Backwaters. Drive to Allepey, also known as the "Venice of the East" for a 3 hour bakwater cruise upto Kottayam. 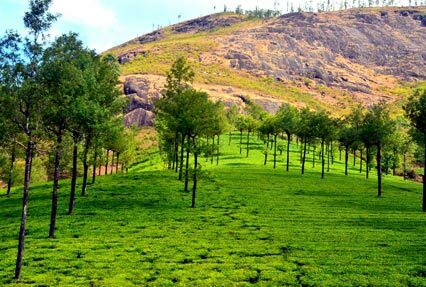 It gives a uniquely quaint view of the unspoilt village life of Kerala,past lush green paddy fields, coconut and banana groves. From Kottayam,drive to Kovalam (02 hrs). Check into Beach resort.